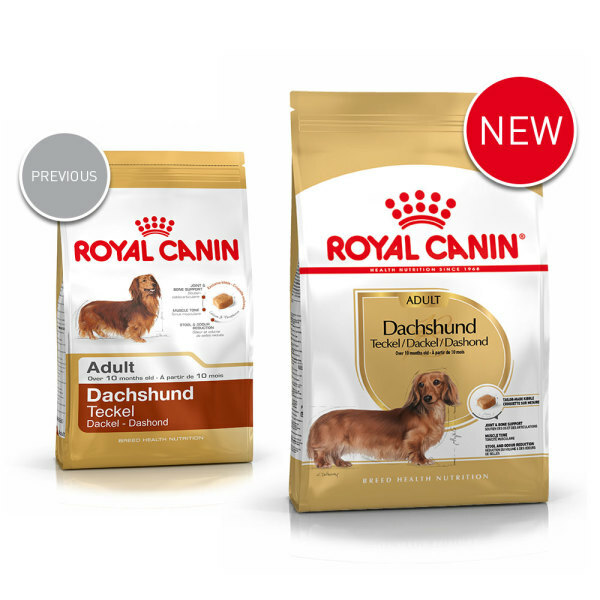 Dachshund Adult Royal Canin Dachshund Adult dry dog food, from 10 months old. 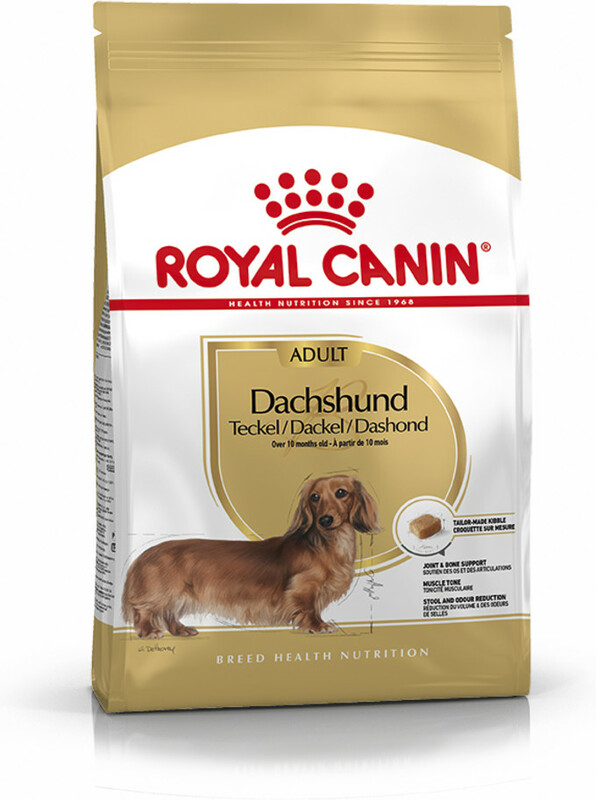 DACHSHUND ADULT contributes to supporting the Dachshund’s bones and joints thanks to adapted calcium and phosphorus content. 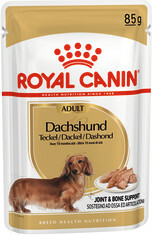 This exclusive formula also helps maintain ideal weight. 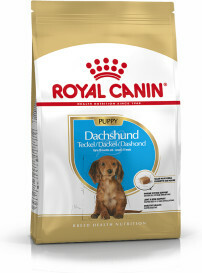 This formula helps maintain the Dachshund’s muscle tone. Rice, dehydrated poultry protein, vegetable protein isolate*, hydrolysed animal proteins, animal fats, vegetable fibres, beet pulp, fish oil, soya oil, minerals, fructo-oligo-saccharides, borage oil, marigold extract (source of lutein), hydrolysed crustaceans (source of glucosamine), hydrolysed cartilage (source of chondroitin). Crude ash: 6.4%. Crude fibre: 3%. Crude oil fats: 14%. Moisture: 0%. Protein: 28%. Vitamin A: 31500 IU, Vitamin D3: 800 IU, E1 (Iron): 35 mg, E2 (Iodine): 3.6 mg, E4 (Copper): 11 mg, E5 (Manganese): 46 mg, E6 (Zinc): 139 mg, E8 (Selenium): 0.07 mg - Technological additives: Clinoptilolite of sedimentary origin: 10 g - Sensory additives: tea extract (source of polyphenols): 150 mg - Preservatives - Antioxidants. * L.I.P. : protein selected for its very high digestibility.